We typically carve jack-o-lanterns every year as a Halloween tradition in our family but it’s always a bummer that we have to wait until just before Halloween for the activity to avoid them spoiling on the front porch. 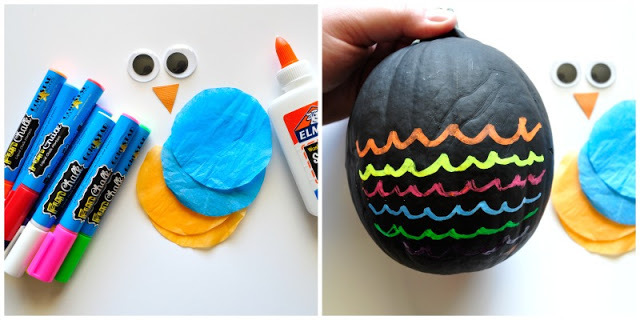 A great alternative that can be enjoyed all month long is no-carve pumpkins. 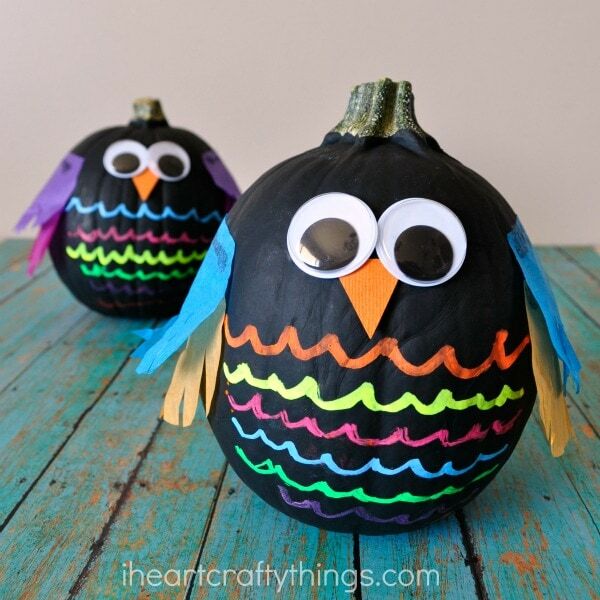 We have been on an owl kick this week and created these colorful no-carve owl pumpkins. 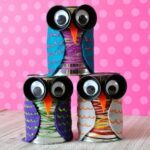 Their black color makes them perfect for decorating for Halloween and the pop of color from the liquid chalk and tissue paper make them stunning! 1. Start by painting your pumpkin completely black. 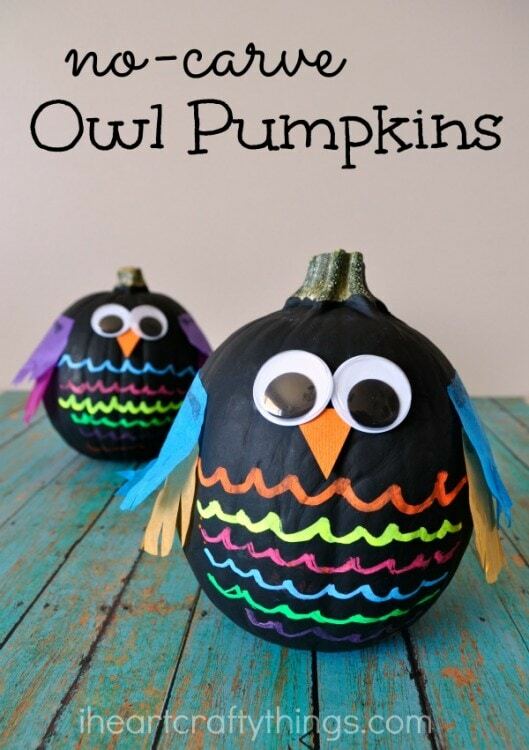 When it has dried completely, get out your Fun Chalk Markers and draw scallop shaped lines across the front of the pumpkin to look like owl feathers. 2. 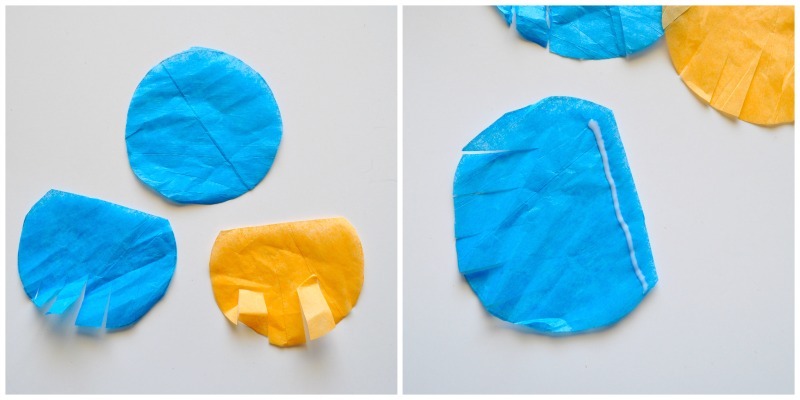 Cut out 4 circles from your tissue paper. 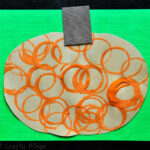 We used a plastic fruit cup to trace the circles on our tissue paper and also used two different colors. 3. Cut a small slice off of your circles to make a straight edge. 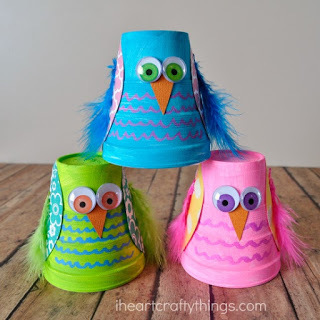 Cut slits along the rounded side to give the feathers extra texture. 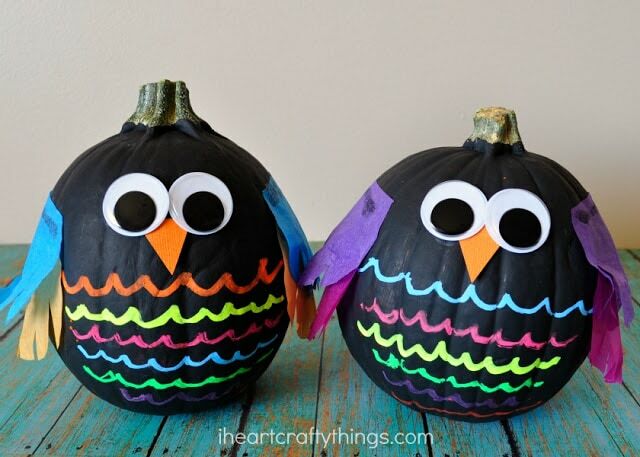 Put a line of glue along the straight edge and glue them onto the sides of your pumpkin, layering two on each side to make the owl wings. 4. 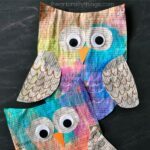 Finish your owls by gluing on your googly eyes and a triangle beak cut out from orange cardstock paper. LOVE!!! 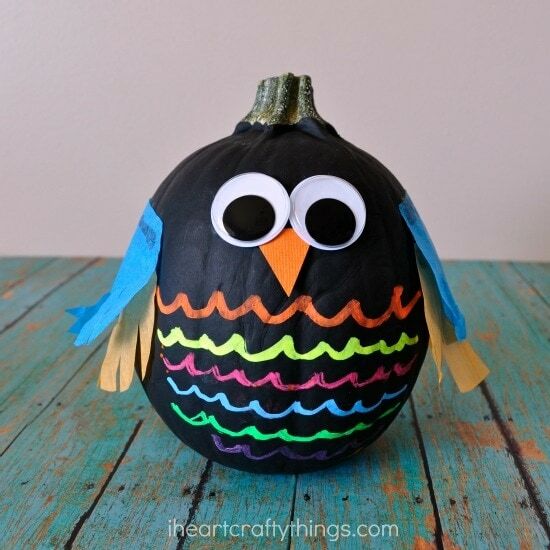 I have been painting mini pumpkins instead of carving with my first grade class for a few years and am always looking for new ideas. Thanks for the inspiration! Love these!! Do you remember how long it took for the black paint to dry?